IHG® Rewards Club - eBooks - F.O.C.U.S. Faithful, Open, Centered, United, and Solid add up to F.O.C.U.S.-- the key ingredients of Christian living.Beginning with his own testimony, Pastor Tyrone D. Gordon invites pastors and churches to F.O.C.U.S. by living the Lord's Prayer. Living and studying the prayer Jesus taught leads us to be faithful to Jesus, open to opportunities, centered on commitment, united in the power and ministry of re… conciliation, and solid in the struggle toward power, justice, and love that come from God. 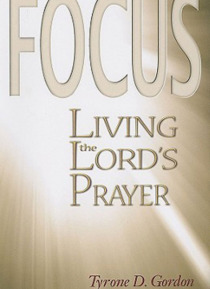 "e;A focused prayer-filled life points to God, depends on God, and looks to God for its fulfillment. Everything in it, around it, and in between it is designed to glorify God. Our whole life is a doxology because we know what ultimate reality is. This is God's thing, God's doing, and ultimately, God is in control. "e; from the bookEach chapter includes questions for reflection.